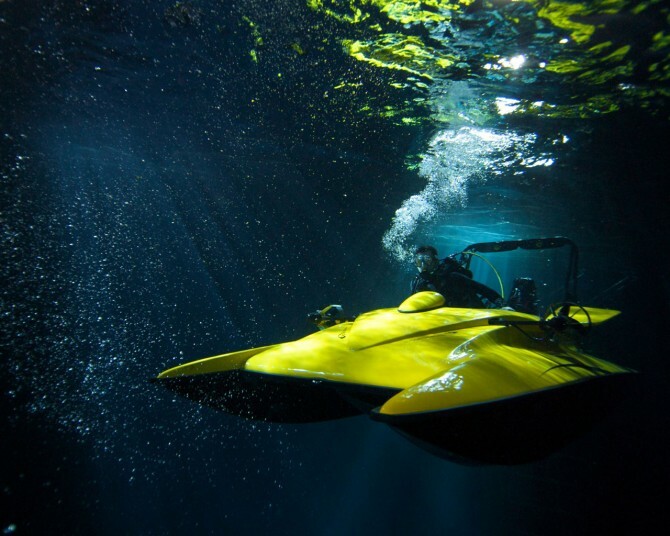 So I think I decided what I want for Christmas… A Scubacraft (I saw it in Wired magazine). It’s basically a boat that you can hit a button, and it will go underwater (up to 100 feet). It would be pretty awesome to go scuba diving and instead of leaving your boat at the surface, just take it under water with you when you get to the dive site. 🙂 It’s not pressurized, so it’s not a submarine (you would still need scuba gear of course). It also has an onboard computer that controls your ascent and descent so you don’t go to quickly and give yourself the bends. How much $$ for the boat? And would you ever buy 1? I think I saw somewhere it’s $146,000. And no, I wouldn’t buy one… I want Santa to bring me one though. Woah thats super sick I really wish I had some conceivable purpose to justify a purchase.. have you done any local diving in SD now that you are certified? 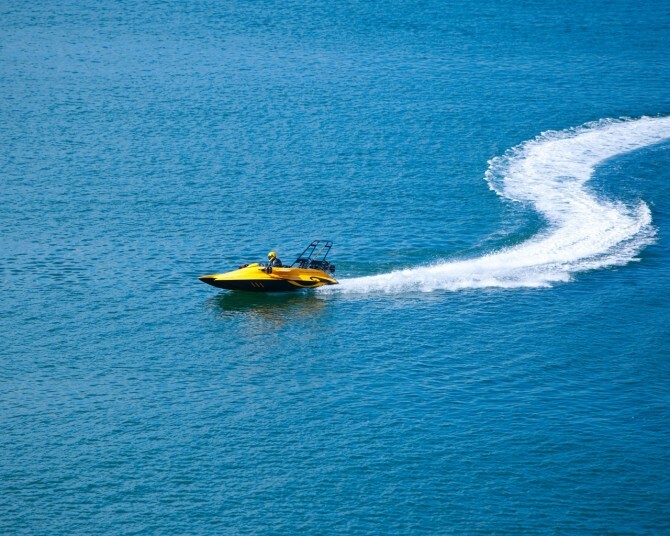 it seems so much fun , but i suppose the boat will leave you if you go fast under the water as there is no cover on it . don’t buy these things . I want to buy a bicycle ,its safer. Shawn Hogan…. Shannon wants me to sue you and your company. I am in communications with Jack, the poster, of my comment on your forum in the link below. Jack did NOT have permission from me to post my comment from another forum and he has AGREED to remove it. Jack requested that you remove it; but you refused and requested that I sue your company. As per Shannon’s response to Jack, which he sent to me and which I will give to the Judge. “If he wants thread removed, he will have to get a court order and have Shawn served with it. What you fail to realize is that the lawsuit will NOT be against Jack. The lawsuit will be against your company for your wrongful refusal to remove a post that Jack and I requested you to remove. Your forum is NOT a PUBLISHER of the comment. You merely supply a venue for the publisher, Jack, to post comments. If a publisher requests their posts to be removed, you must remove the post. Since I have permission from Jack to remove the post, I can not sue your company and obtain an injunction to have it removed. This will only cost your company money in attorney fees. I will also request costs against your company. You’ve been placed on notice, please act accordingly. I have reviewed the law and I, in fact, can sue your company. It appears as long as the original poster, Jack who is the PUBLISHER, has requested you to remove his comments from your forum and you refused, this gives me the legal right to sue you. Unfortunately, if my comments that Jack requested you to remove from your forum in the followinng link are not removed by next week, I will file a lawsuit against your company. This will only cost you attorney fees and the comments will be removed because you are NOT the publisher. You’ve been placed on notice. For multiple publications online (Public Notice). PLEASE TAKE NOTICE that I am in communications with Jack, the poster, of my comment on your forum in the link below. Jack did NOT have permission from me to post my comment from another forum and he has AGREED to remove it. Jack requested that you remove it; but you refused and requested that I sue your company. What you fail to realize is that the lawsuit will NOT be against Jack. The lawsuit will be against your company for your wrongful refusal to remove a post that Jack and I requested you to remove. Your forum is NOT a PUBLISHER of the comment. You merely supply a venue for the publisher, Jack, to post comments. If a publisher requests their posts to be removed, you must remove the post. Since I have permission from Jack to remove the post, I can now sue your company and obtain an injunction to have it removed. This will only cost your company money in attorney fees. I will also request costs against your company. PLEASE TAKE FURTHER NOTICE that if my comment within Jack’s post is NOT removed from your forum as requested by Jack, the PUBLISHER, I will have no choice; but to file a lawsuit against your company for injunctive relief and request costs and punitive damages based on your intentional and reckless disregard. Wow, that’s pretty cool! Safe? Probably not! Mate that is simply Brilliant. WOW ….Would it be crass of me to ask how much? OMG, I would so buy one! That’s sick!